Good luck getting a ticket to a game in the small town of Sinton, where the football team has been to the playoffs at least every year in the last 5 years. (2010) Home side expanded at each end wooden bleachers are replaced with aluminum, a press box added to visitors side and a new scoreboard. 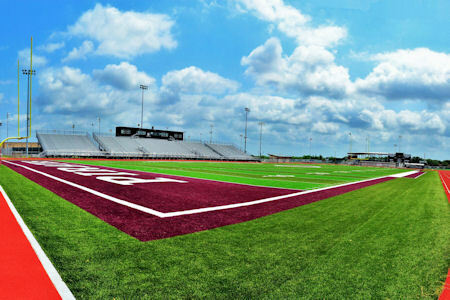 (2011) New track and new artificial turf.